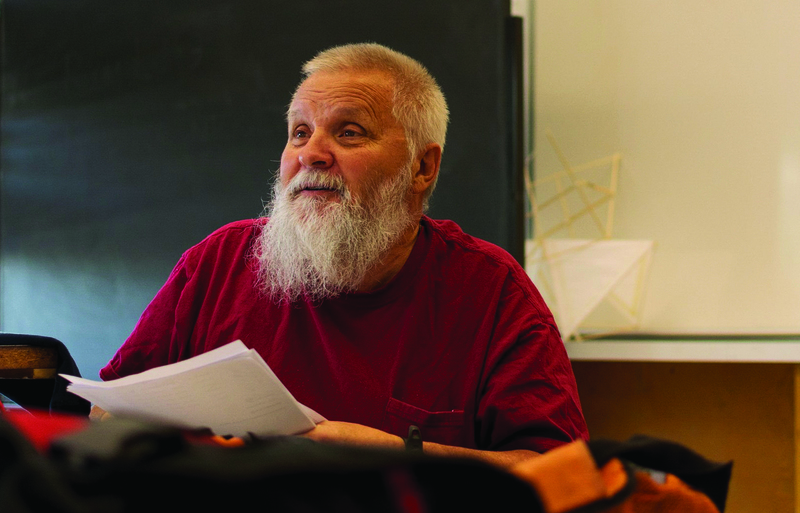 Professor Paul Nowicki has been teaching architecture at City College since 1977, but a shattered spine after a hospital error put him on his deathbed seven years ago. Initially going in for a broken ankle, he was treated with unsterilized pins leading to a massive infection.“My whole right leg was rotted out from the knee down,” Nowicki said. The infection had to be treated for 12 months. When he was let out, it was already December, the month most people decorate their house and ponder their New Year’s resolutions. Three weeks later, he looked over his right shoulder and shattered his spine by doing an everyday motion. “I broke every bone in my back. It just popped going up. I remember the first two and then I passed out,” Nowicki said. The infection, thought removed, had traveled into his back and made his bones brittle. Through his gentle eyes and white beard he jokes that a bicycle chain keeps his spine up. When he was in a coma and presumed unsavable, his family had his last rights read to him. Nowick is only alive today because of a last ditch surgery attempt that sacrificed his left leg. “Why people know me is because I do a lot of stuff for NASA, have drawn for George Lucas […] Pixar, Intel, Old Navy,” Nowicki said. In fact, he is currently working with Metallica’s lead guitarist, Kirk Hammett. Nowicki’s portfolio reaches far and wide, providing a whole livelihood that extends well past the grim concrete walls of Batmale Hall. But he loves to teach. He has set up his life to be a mentor to people, extending beyond mere subject matter into the ethics of responsibility and reliability. Throughout the interview he shared many stories of the students he bonded with. One was a former student, now a NASA employee, who came in and handed over a block of foam. It was 1/10 gravity and took 90 minutes to fall from the ceiling — highly classified material that he snuck out to show Nowicki. There have also been dark times. Nowicki is the kind of teacher who thinks about the students he couldn’t help. Even decades later he recalls a student committed suicide in the 1980’s and wishes he’s been able to handle the situation better. Waking up from the clutches of death, Nowicki did not wonder how could he live differently. He instead focused on what could he do more. Nowicki continues to be the voice that can makes people comfortable so they can come to him for advice as their mentor. 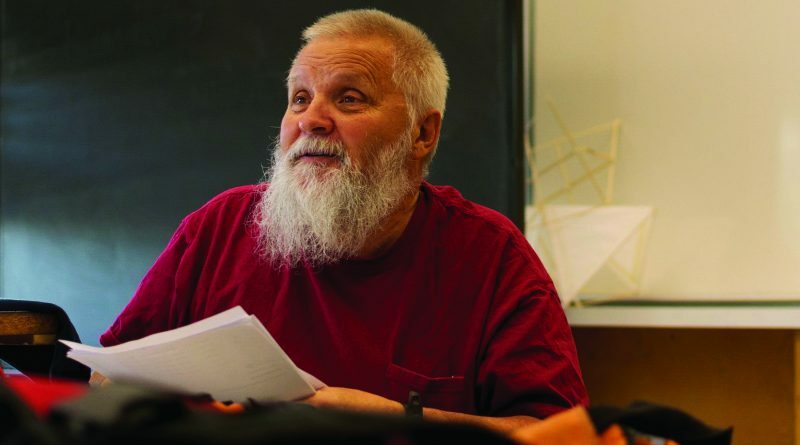 Four decades have passed since he first began teaching in City College. A wealth of knowledge and experience, Nowicki said the injury has only slowed him down.